Ladies and gentlemen, are now officially in the post-"Royals" era of our Lorde obsession. The New Zealand songstress performed "Tennis Court" during Sunday's Billboard Music Awards and it was just. So. Lorde. The intelligent, outspoken, albeit occasionally awkward (hey, she IS a teenager after all) knows how to deliver. When it comes to the Billboard Music Awards, most artists go big with the glitz and glam. Lorde thankfully offered a much-needed respite with an energetic performance. She brought down the house at the Grammys with "Royals" and did not disappoint on Sunday with "Tennis Court." Despite Lorde's own desire to be known for more than her first single, Nicki Minaj still introduced her with the "Royals" lead-in. However, the moment we saw Lorde in her signature black and rocking a big floppy hat with Annie Hall-levels of flawlessness, we no sooner were lost in "Tennis Court." For only Lorde could make disco balls glittery and gloomy. Lorde took home the Best New Artist award earlier in the ceremony and gave a heartfelt "thank you" that was read off of her iPhone like a true 17-year-old. Decked out in a Bjork-meets-Black Swan ensemble, she graciously and humbly received the award that recognized her huge album sales. She also took home the award for Best Rock Song as she is the biggest crossover artist in the industry. 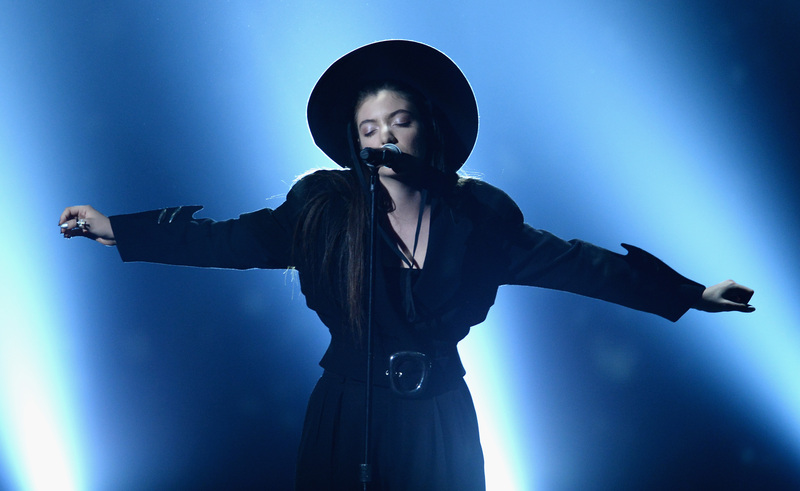 Despite her rapid ascent into the limelight, Lorde keeps it cool, genuine, and classy on stage and in her speeches.